What's so special about Boat Bay and Clump Point? · Basalt is a volcanic rock; the vegetation types associated with it include remnant rainforest, mangrove and grassland. · These vegetation types grow on basalt by the beach nowhere else in the Wet Tropics. · The Clump Point and Boat Bay area is clearly very beautiful, with its sweeping seascape bordered by rich mangroves meeting the rainforest growing right by the beach. 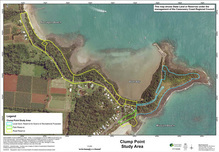 · The vegetation on Clump Point directly filters and improves run-off water entering Boat Bay. · Boat Bay is the larger of two north-facing shallow embayments sheltered by Clump Point – the bay provides high quality water conditions for marine and freshwater fauna, including EPBC-listed threatened species such as marine turtles and dugong. At least 283 species of fishes are known to inhabit coastal waters in the region (between Cardwell and Bramston Beach) but it has not yet been determined how many of these inhabit the waters around Clump Point and Boat Bay. Five species of the IUCN-listed fish family Syngnathidae (seahorses and pipefishes) are known from the general area some of these may occur in Boat Bay. · Only two aquatic surveys appear to have been carried out in the Bay and around Clump Point. Clayton, Jackes and Pearson (1990) reported on the mangrove, littoral and reef zone fauna after a single day’s survey. They noted that “This area was regarded as quite spectacular, not because of the rarity of any species recorded, but because of the diversity of the fauna in a small area with ready access, and it is seen as an asset to the immediate region” [my italics]. Roder, Lee Long, McKenzie and Roelofs (1998) carried out two days’ survey work, with an emphasis on seagrass cover. · The mangroves growing in the tidal area of Boat Bay include five species in a rather small area, growing among the sand, mud and basalt boulders – a unique assemblage. · The fauna of the mangroves includes a wide range of animals from mud-lobsters (“yabbies”, Callianassa) to mudskippers (Periophthalmus). · Five seagrass species are known to grow in Boat Bay: Cymodocea, Enhalus, Halodule (one species each) and Halophila (two species) (Roder et al. 1998). Seagrass is “dugong food”. · Brown algae dominate the subtidal waters, wherever dead coral or rock occurs for attachment – Sargassum being the largest and most conspicuous species. Sargassum beds form important fish habitat, especially for juveniles and small species such as pipefishes. 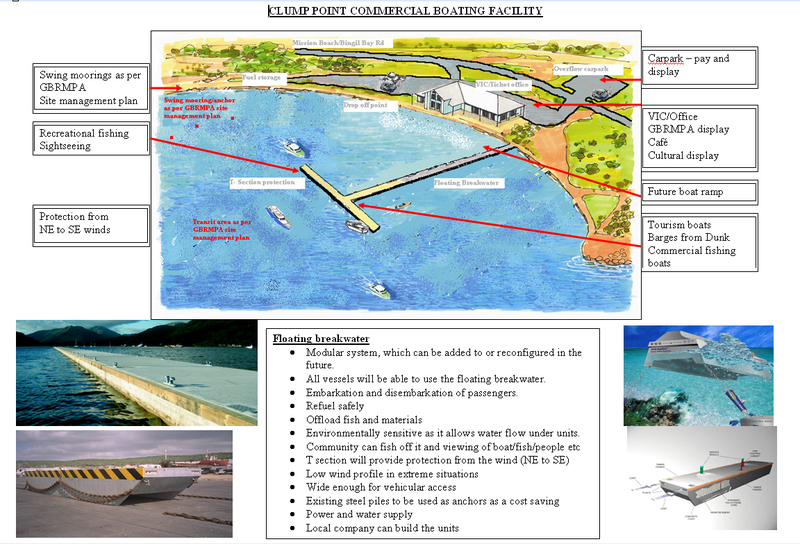 impacts upon the flora, fauna, sediment movement and water flow within the bay. 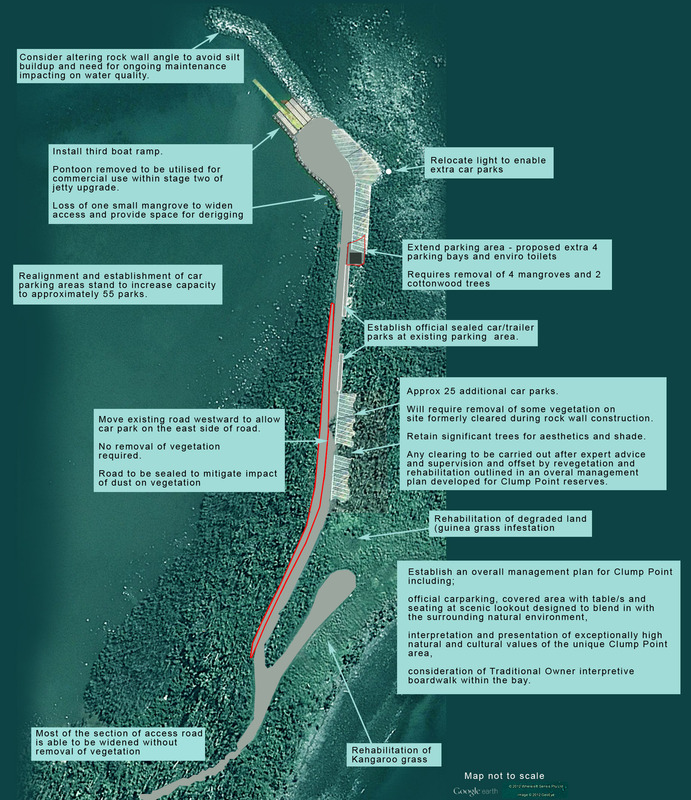 · The mangroves and sand/mudflats will show the first effects and may not recover, along with their associated fauna, depending upon what is done to the structure of the bay. · The Clump Point and Boat Bay area is a major asset which should be promoted for its own (present) values, as Clayton et al. (1990) pointed out in their conclusions to their report. The long-term effects of any development of the area are those that must be considered first and foremost. One survey by Clayton, Jackes and Pearson (1990) reported on the man-grove, shore and reef fauna after a single day‘s snorkelling and walking. Roder, Lee Long, McKenzie and Roelofs (1998) carried out two days‘ survey work, looking mainly at the amount of seagrass cover and what kinds were present. We know almost nothing about what species of fish and turtles and other animals regularly use the Bay. You can help, by documenting any fish you catch around Clump Point, Boat Bay and adjacent areas. If you are getting bait with a cast net or getting dinner with hook and line, please take photos of the different fish you catch. Fill the view finder/screen with the fish if you can, so small details can be seen easily. Email them to Helen Larson eviotahkl@gmail.com who will identify them and start a Boat Bay list. So far only 13 fish families have been observed but there may be about 40 in the area! residents in the Mission Beach area. The brochure outlined the outstanding values of the Bay and headland and the community and Council management responsibilities. 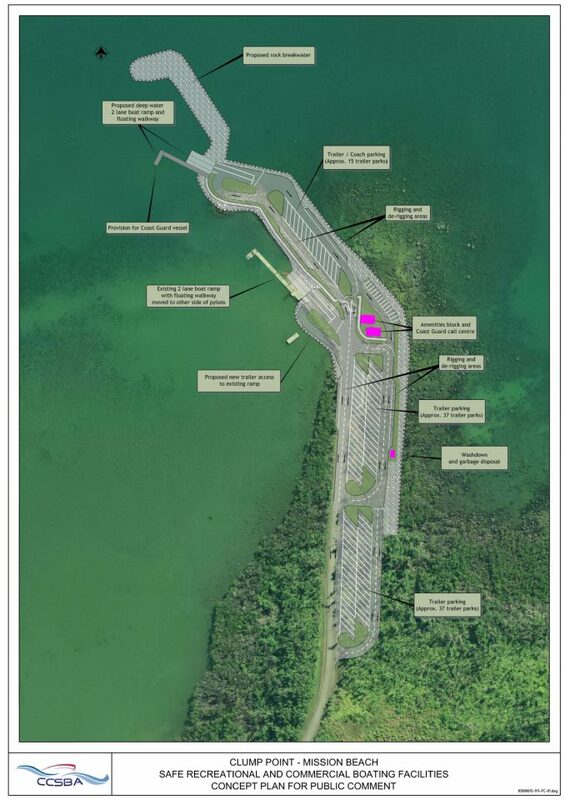 More information about the history of a marina development proposal for Boat Bay Friends of Boat Bay website. The Reef and Rainforest Research Centre have some great videos about the wet tropics. Here is one about wildlife at risk in the Wet Tropics including turtles, dugongs and cassowaries.